Ribbon noodles in a hot and spicy tomato sauce. Store in a cool, dry place., For best before end: See base of pot. 1 Remove the lid. Add boiling water to the fill line. 2 Stir thoroughly and allow to stand for 5 minutes. 3 Top up if a thinner sauce is required. Stir thoroughly again. 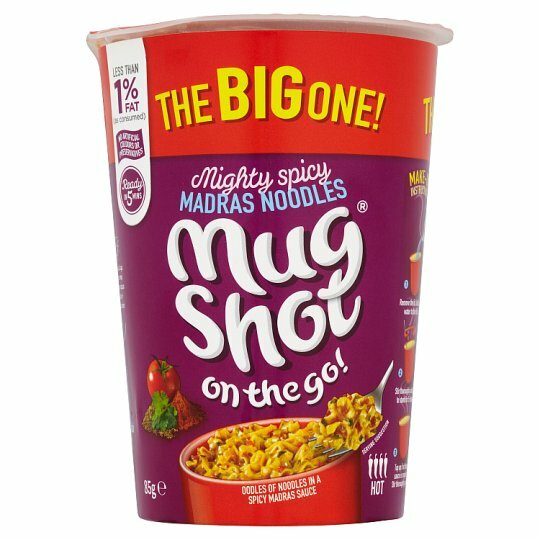 Just add boiling water for the perfect take away! Why not add some fresh coriander? Warning: When prepared as per instructions the pot and contents will be hot. See preparation guidelines for details.